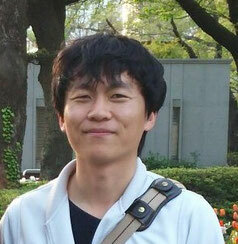 Ph.D. 2011, Geology, Tokyo Institute of Technology, Japan. Title: Surface Environment in the Ediacaran and Cambrian: Evidences from Sr and Ca isotope ratios. M.Sc. 2008, Geology, Tokyo Institute of Technology, Japan. Title: Environmental change in Ediacaran period: estimated from radiogenic Sr isotope ratios preserved in strata at Three Gorges, South China. B.Sc. 2006, Geology, Tokyo Institute of Technology, Japan. Title: Geology for the Neoproterozoic strata in South China and Scotland. 4/2011-3/2012: Postdoctoral Fellow at Japan Agency for Marine-Earth Science and Technology (JAMSTEC), funded by Japan Society of the Promotion of Science (JSPS). 4/2009–3/2011: Ph.D student fellow at the Tokyo Institute of Technology, funded by JSPS (Research Fellowship, DC2). Estimation of Cu and Zn concentrations in Paleoproterozoic seawater. JSPS, Research Fellowship for Young Scientist-A, 16,900,000 Japanese Yen (equivalent to US$ ? ?,000) awarded for 1/4/2017-31/3/2020. Chrono-stratigraphy for the Mesoproterozoic strata in Jixian, North China. JSPS, Research Fellowship for Young Scientist B, 3,100,000 Japanese Yen (equivalent to US$ 28,000) awarded for 1/4/2014-31/3/2017. Deciphering surface environmental changes in the late Proterozoic by Re-Os isotopes. JSPS, Research Fellowship for Young Scientist–PD, 2,300,000 Japanese Yen (equivalent to US$ 20,000) awarded for 1/4/2012-31/3/2014. Deciphering surface environmental changes in the late Proterozoic. JSPS, Postdoctoral Fellowship for Young Scientist–PD, 900,000 Japanese Yen (equivalent to US$ 8,000) awarded for 1/4/2011-31/3/2014, but declined on 31/3/2012. JSPS, Research Fellowship for Young Scientist–DC2, 1,400,000 Japanese Yen (equivalent to US$ 12,000) awarded for 1/4/2009-31/3/2011. - Three Gorges, Weng’an and Chengjiang, South China in 2005, 2006, and 2011 (totally 3 months). - Scotland, Wales and Ireland in 2005, 2012, 2013, and 2014 (totally 3 months). - Svalbard in Norway in 2007 (1 month). - Altai in Russia in 2008 (3 weeks). - Jixian, North China in 2015 (1 week). - Pilbara, western Australia in 2010 (1 month). - Labrador, eastern Canada in 2011 and 2012 (totally 2 months). - Zimbabwe in Africa in 2015 (1 month). - Gabonese Republic in Africa in 2016 and 2017 (totally 2 month). - Geological Society of America. Could you see Research Gate or Google Scholar.